Even though it’s still in the high 80s here in the south I have started to think about fall sewing. As usual I created some digital sketches to serve as my fall sewing guide. If you like to learn how I create them watch my video here. If you watched my Fall Haul video on YouTube you’ll see some of the patterns and fabrics from that video. Pants are something I don’t sew often, even in the cooler months. Pants can require more fitting and often require (or at least benefit from) a muslin, something I typically don’t do, so I typically pass them over for dresses, skirts and jackets. M7786– I picked this one because the elastic back eliminates the need for a side or fly zipper which will hopefully make them a quicker sew. I do not love elastic waist pants for anything other than causal wear, but the flat front on these make them work friendly to me. I have these paired with a gingham fabric I showed in my video, but I may change my mind. M7726 – I passed the pattern up when it was released because I didn’t think this look would work on my body. However after seeing several other sewists model their versions this pattern seems more flattering than I initially thought. I was thinking of a green linen for these, but a pattern (perhaps the gingham) would be fun for theses. S8749 – I love both pieces in the pattern (spoiler alert). The fitted ankle length reminds me of the pixie pant by Old Navy that I love, so I figured why not make my own. My first thought was a plaid like the pattern envelope and Joann has some nice stretch suiting (here) I could use, but I haven’t purchased anything yet so we’ll see. Closet Case Sasha Trousers – If you follow me you know I’ve tested the last two Closet Case patters (the Fiona and Amy) and I loved them both. Since I’ve had such great success with those I decided this was a good pick. This might be the project that forces me to attempt a welt pocket. I grabbed a gray and khaki stretch twill from Joann during a $4.99yd sale for these pants (here). Closet Case Ginger and/or S8516 – This is the year (or maybe season) that I will attempt to make jeans! I have putting this off for a long time now, but I really want to give it a try. If the Sasha Trouser fit well I’ll give the Gingers a try, otherwise I’ll attempt Mimi’s second jeans pattern because her pants typically fit me well. I have enough stretch denim in my stash to make both. Can’t have pants without tops! And even though I make more tops than pants, my me made top selection is pretty thin. Therefore I had to add a few to my plans. M7016 – This knit sweater has a bit of a grandma feel to it, but for some reason I’ve been meaning to sew it for the past couple of years. I hope to finally make it this year to see how I feel about it on. This will likely be gray because I have a good stash of heather gray ponte. M7722 – My first thought was to extend this top pattern into a bodycon dress. What can I say I really love dresses! But I need to focus on separates, so a top it shall become. Purple is one of my favorite colors and I know I have some purple ITY and ponte so one of them will work for this project. Kommatia Cannes – Bodysuits are the great for the winter, you don’t have to worry about keeping them tucked in which makes them great for layering. This one won’t be kept under wraps though. I’ve already purchased this stretch kente fabric. No the only questions is how long will I lengthen the sleeves. New Look 6303 – Though I’ve only made this pattern twice (here and here) this is a TNT for me. I showed the houndstooth fabric I plan to use for this top in my latest video. S8295 – A classic tunic is a staple I don’t have in my closet. I have made the pattern for a customer (here), but never for myself. It’s time to change that, this one is blank because I have no idea what fabric I want to use. It will probably be a linen but white? cream? green? I’m not sure. Even though I want to focus more on separates that doesn’t mean that I’m abandoning my one pieces. No season is complete for me without dresses and jumpsuits. V1593 – I loved this dress from the moment I saw it! It’s so me. This is a must make! I might need two because I feel like I need it as a basic black dress and maybe also in a bold color like red or purple. V9327 – This dress isn’t exactly my style but something about it really appeals to me, I think it’s the plaid. I can only see myself sewing and wearing view A which I have here. I’m leaning towards a green and blue tartan type of plaid, but if I find something else that’s grabs me that could change. S8014 – I’ve been meaning to sew a shirt dress for a while, I came close with Mimi’s Katie and S8546 but this would be my first real shirt dress with a button placket, collar, front pocket and cuffs. The fabric for this is already in my stash and is a large scale plaid print of gray, red, white and blue. KS4138 – The leopard corduroy fabric from Fabric Mart was a must have when I saw it, I grabbed 4 yards. Though I had no idea what I would make when I ordered I’m leaning towards this cute skirt all would be fun! I’ve made it before here. KS4138 – This is another view of the pattern above. Overalls have been on my to make (or buy) list for a minute and though I’m not sure they are still “IN” I want to make a pair using some Ankara fabric I was given earlier this year by Ankara Malika. I think I caught the coat bug last year with the Clare Coat so this year I definitely see a new coat this winter. I doubt all three of these will be made, but I believe the blazer and one of the others is a reasonable goal. B6385 -This pattern has been in my stash since I first started sewing way before I felt comfortable enough to attempt a coat, but I’m happy I grabbed it. I like all three views, but want to give this collar a try. After making the Clare in a navy I want to try a color that hides lint better, so I’m thinking heather gray wool. M7848 -This new release is flattering and looks like and simpler sew than B6385 due to the lack of buttons. My buttonhole setting is iffy on just denim so I’m worried it can’t handle wool (my fall back is to use faux buttons with snaps underneath) so this coat may be the winner this year. Despite what I just said about lint I think this would be gorgeous in a winter white wool with a faux snow leopard trim. S8749 – The boyfriend blazer is a on trend item for fall and I want to make a blazer to match the pants I have listed above so plaid! This blazer would be my first (hopefully) successful blazer. I’m a tad more confident with the pattern because of its looser fit. Whelp that’s it! These are the things I’d like to make this fall and winter. Will I get to all of them? NO. 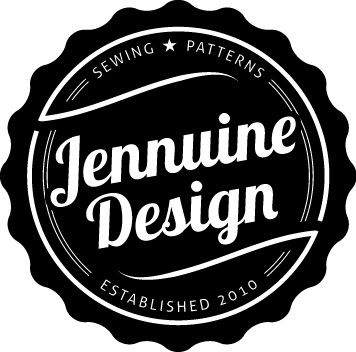 Will I sew something not listed here? Definitely. Do I reserve the right to not follow this at all? Yup! I use these seasonal plan vision boards as a guide to remind myself of all the ideas I had looking forward to the season change, but I’m very flexible with what I actually sew. I don’t beat myself up if I don’t get to every item and I allow myself to be swayed by a new pattern or fabric purchase. What are your must sews for this fall and winter seasons? Let me know below. Love your winter plans and your vision board. You have motivated me to start something! I am going to try a dress, blazer, and pants. Yes! I love it. Maybe I should start with a dress.